Network Ireland West Cork (NIWC) celebrated its 1st year Anniversary at it’s March event with inspirational guest speaker Dee Forbes, Director General RTE who was joined by Kevin Buckley, CEO at Spearline and Deirdre Waldron, Past President of Network Ireland and Partner at Fusion Communications. 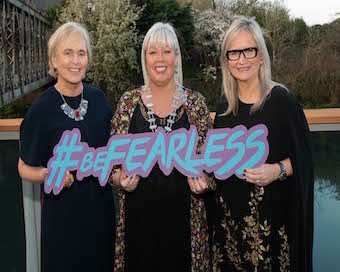 Attended by over 100 of West Cork’s business women, the event celebrated inspirational leaders and how they were fearless in the face of challenge on the path to success. Speaking also at the event, Deirdre Waldron, Partner Fuzion Communications said” you can be shy and quiet and still decide to change your mindset take the leap “be fearless” and go for it! For further information you can follow the branch on Facebook (www.facebook.com/NetIrlWestCork) and Twitter (www.twitter.com/NetIrlWestCork) .